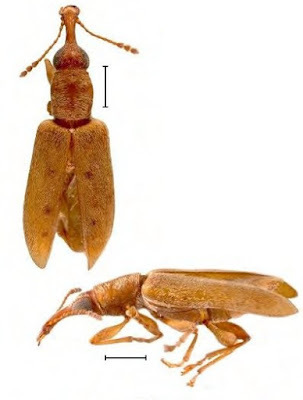 Dorsal and lateral views of Notomacer araucariae, from Legalov (2017). Scale bar = 1 mm. The Nemonychidae, pine flower weevils, are a group of weevils with larvae feeding on pollen of conifers.